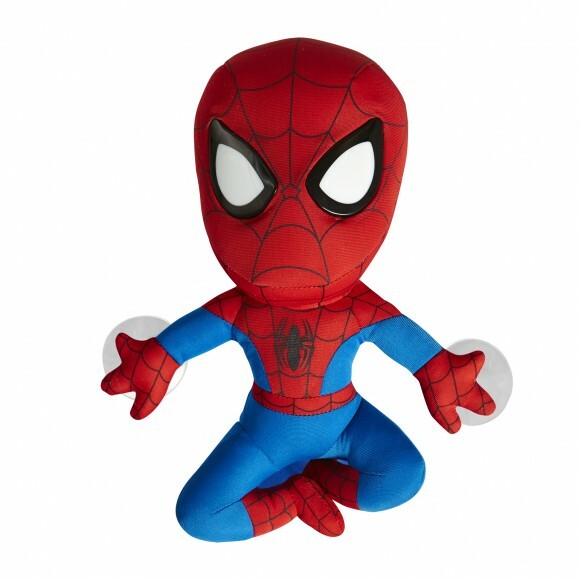 Ultimate Spiderman Go Glow Pal from Worlds Apart is a wonderful soft Spiderman that you can cuddle that doubles as a nightlight by simply pressing his tummy which lights up his eyes. With darker evenings nearly upon us, children’s lighting brand GoGlow® has conducted a survey to find the answer, and it is as simple as fears of what is lurking in the dark. 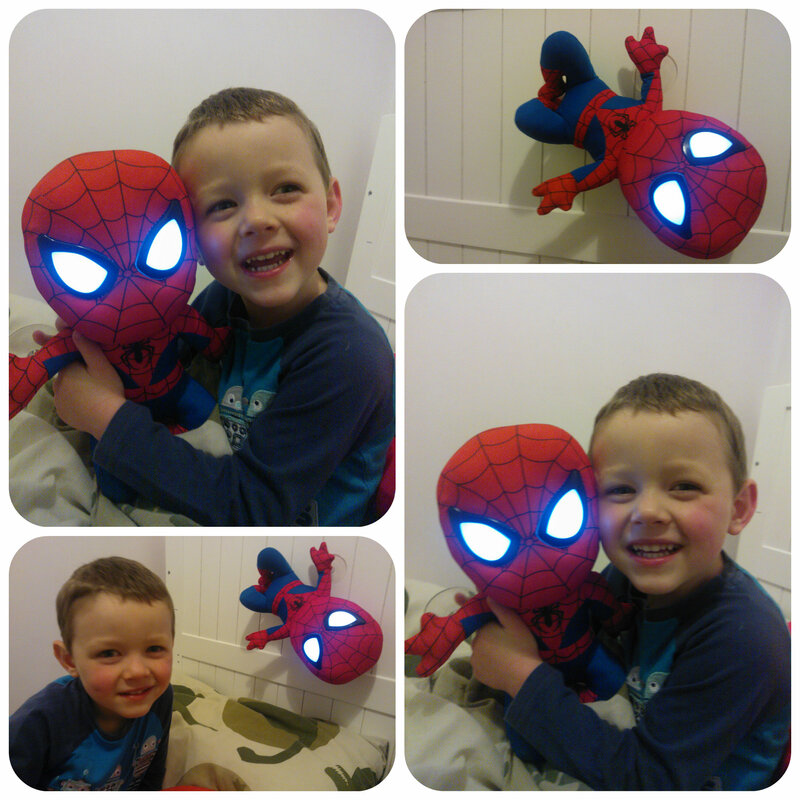 As you can see above Mister B is really happy with his Spiderman Go Glow, it is well made and a good size, perfect for bedtime cuddles. There are suckers on the hands to stick Spiderman to your wall or bed while you sleep. The light is really quite bright and great for little ones to use in the night although the great thing is it switches itself off after 15 minutes. It requires 3 AAA batteries which are included when you buy it so it is ready to go. 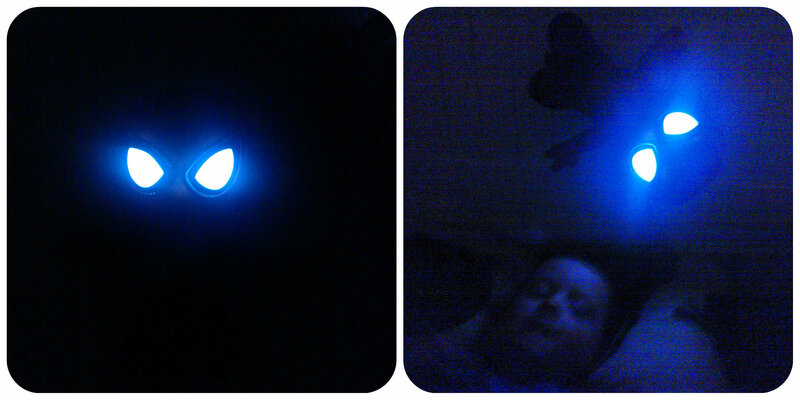 This night light has worked really well for us and totally put Mister B at ease in the dark. He has wandered into our bedroom in the night a couple of times and we have seen to big white Spiderman eyes glowing guiding his way. I think it’s great to find a night light with a character your little ones love as it really does help them to drift off to sleep! All reviews are my own and my family’s opinions and we received the night light in order to write the review.